@Huey thanks for sharing here..
[130217/FAN-MEETING] INTRO FOR "사랑은 은하수 다방에서"
Boy: (Writing a lyric) Love...cafe...while drinking iced coffee. Boy: (Sing/Humming) You can meet...love...in ‘Milky Way’ cafe, while drinking black tea and...iced coffee...hot-cocoa. Boy: (inaudible)...Iced coffee with hot-cocoa. Boy: Whoa...the lyric is finished. Boy: Can you give additional milk to this iced coffee? Waitress: It's not Americano* if adding with milk. Boy: Then made the same with this (iced coffee). Sora: Yes, just (warm) hot cocoa, please. Boy: Whoa, this flower ... (inaudible). Waitress: Please enjoy the food. Sora: I didn't order hot tea. Waitress: Oo..that person...(pointing to the boy). The moment you open the door and coming in. I feel than I'm falling in love at first sight. I'm puzzled, don't know what to do (next). If only (I wish) you ordered black tea. I should say what's (the words) on my mind. So I ordered it (for you). Black tea. kirane said: #Translation for intro (video) before Sora sang "사랑은 은하수 다방에서" (10 cm cover). Boy: Whoa...the lyrics is finished. *kirane: At some cafe, they not differentiate between Iced Coffee and Iced Americano. #Translation for comic-strip from @huey post: "Sora in the Milky Way Cafe". #Translation for Sora’s interview for Paparotti promotion (130222 MBC Section TV & SBS Movie World). 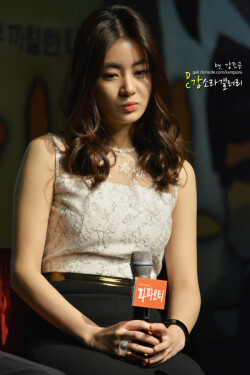 Kang Sora: Chungmuro’s (expected) Potential Actor. Q: Expected admission for Paparotti? Han Suk Kyu (HSK): 7.9 million admission>> Oh Dalsu~4.75 million (referring to total admission of Gift from Room No.7) and HSK~3.15 million (referring to total admission of Berlin File). Q: What you’re going to do if reaching it (7.9 million)? HSK: I will do 677 Project (country long march for 677 km). Oh Dal Su (ODS): I depend on/follow sunbaenim (HSK). 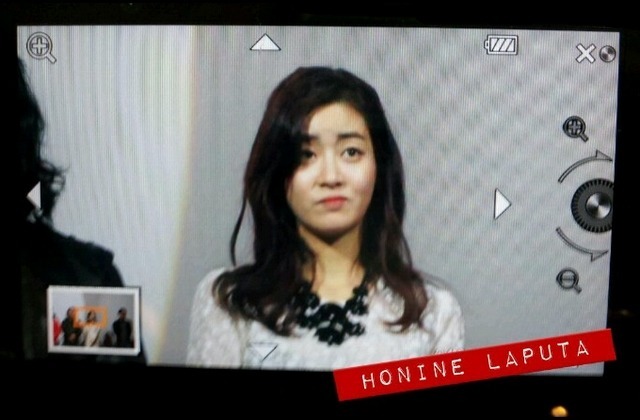 Kang Sora (KSR): I won’t let Oppa do it (677 Project) alone. Q: During filming, there’s something you hold a grudge towards Lee Je Hoon (LJH)? HSK: There’s no such a thing. Hmm, I have (after second thought). HSK: LJH shooting for this movie until a day before he enlisted, so I (jokingly) say “Just (go) enlisted (quickly)”. Any role you want to play (in the future)? KSR: Melodrama with actor whose have a (very) large age difference with me. Q: Then, who you want act with (for that role)? KSR: These two persons (ODS & HSK). KSR: Very mysterious (so) you keep wondering about him. He’s one in a million. HSK: It seems greasy for me. KSR: A…I really like it. 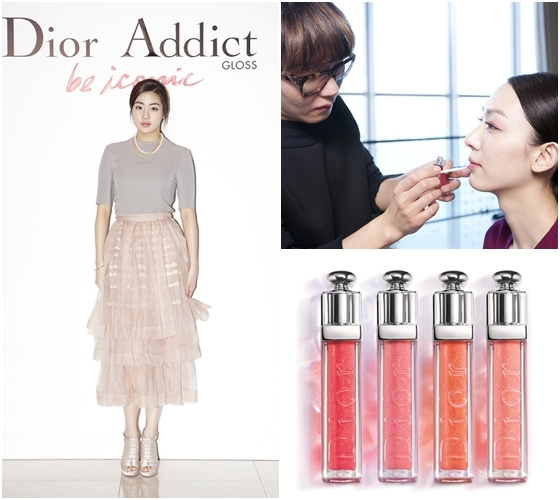 Kang Sora: Next generation actor. Let’s have fun during interview (not too serious). KSR: Mysticism (literary meaning)! It’s like have a supernatural power that make you attracted to him. KSR: Really handsome, his physical appearance is the best. KSR: Is it his handsome face is too good for nothing (become a gangster)? KSR: (Actor) LJH’s charm (that make him selected as Jang Ho), I guess his eye. KSR: Soon, I will go (visit you) and (make/brought) chicken warps for you. Note: There’s limitation in me of Hanguk-mal and English (vocabulary & grammar), so some sentences rewording by me without changed the context. FYI: Pixar's 13th feature film BRAVE just won the Oscar for Best Animated film in 85th Academy Awards. Sora dubbed the main lead's voice in Korean. She congratulated Pixar's Animation team on twitter. In movie “Paparotti” production unfold many different characters. One of supporting role played by Kang Sora (Suk Hee), portray a high school girl who’s had unlimited affection and aggressiveness towards Lee Je Hoon (as Jang Ho) who’s pursue his dream, this character expected will bring a liveliness into movies. Kang Sora's previous movie work "Sunny" success to mobilized 7.5 million admissions (nationwide), she played as Chun Hwa (the hottest young leader with moral rightness). 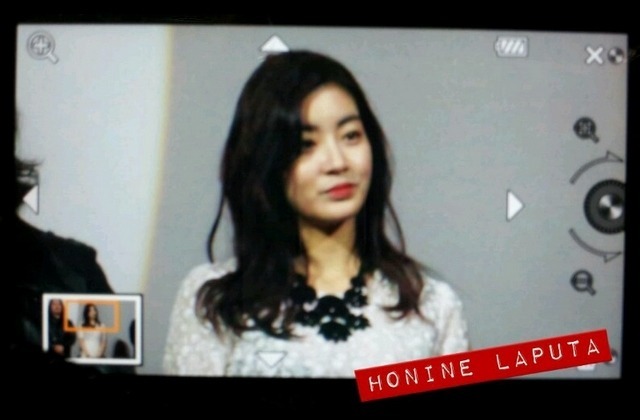 Kang Sora's boyish and easy going personality leaving deep impression on audience. She captivated audience heart by delivering perfectly the lively-vibrant charm of Chun Hwa (teenage version) character. 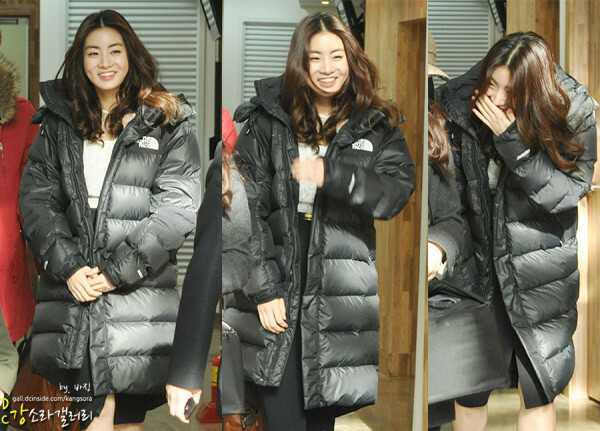 Then Kang Sora come back with drama "Dream High 2", she took challenge to play as a pure high school girl who's refuse to gave up toward her dream, a different role from her previous role in Sunny. All production involving many personality/character. This time Kang Sora showing a different charms, play as Suk Hee, a high school girl who's has bold/strong and aggressive character. Kang Sora (as Suk Hee) majoring in music (vocal) but has vulnerable point for her singing ability, giving an infinity affection and interest towards Jang Ho (a new transfer student and gangster) who's has distinctive smile. Her specialty is to sneakingly and actively to get closer to Jang Ho in order to satisfy her curiosity of his smile meanwhile Jang Ho obviously avoiding her every time she appear in front him. Her charm believe will amusing everyone (who watch this scene). In press briefing, Kang Sora share her thought about differentiation with her former production, "In Sunny there's no love line, but this time my character were feminine and lovable and the atmosphere was great. I felt like true and lively high school girl, (the production) was taken happily and memorable. Personally, I think (an actor) having limited opportunity to wearing a school uniforms (because age constraint), in future (if the opportunity come) I want to play it (as high school girl) again", her witty answer. 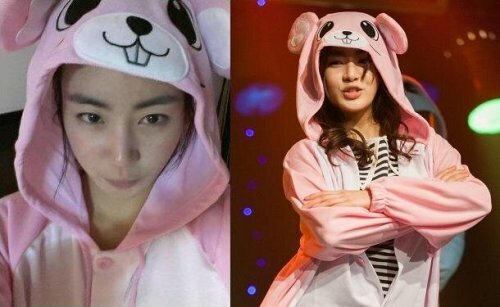 We have seen Kang Sora's as high school girl in two productions, boyish and loyal character in Sunny following with pure and hot-blooded character in Dream High 2. 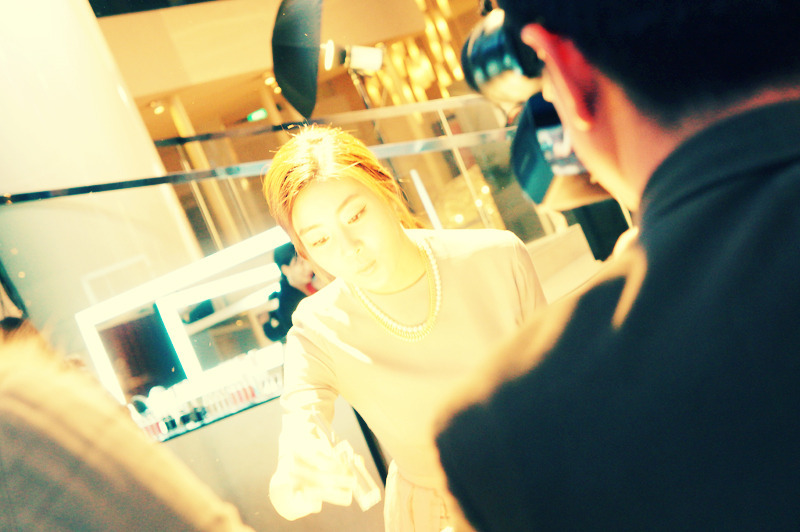 Now, Kang Sora back with different charm in Paparotti, a lively and strong high school girl, expected to captivated audience's heart once again. SH K-Star. TOP RANK ARTISTS(KOREAN STAR). I only have the torrent for it and I think it's much better this way. LOL. Also, since this is a 2 audio (english and korean) movie, I suggest you use VLC Media Player so that you can choose between those two audios. This movie is a 5.1 dolby digital one, you can just customize it if you use VLC. If you have issues or questions, feel free to ask me. Thanks!